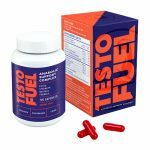 Blue Star Nutraceuticals’s Status is priced to compete with premium supplements, so it’ll be interesting how this battle goes down: TestoFuel vs Status. These are three key benefits that we look for when consuming testosterone boosters. So we’re happy that both products claim to deliver them. However, as they contain different ingredients in different dosages, there has to be a winner here. As a result, we’ll be checking which product is more likely to help you raise your T levels and deliver the best results. Roar Ambition have developed a great reputation over the past couple of years. 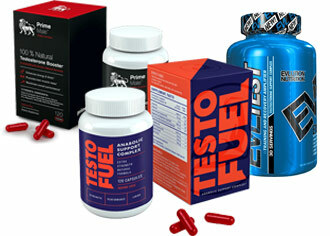 They’re especially known for TestoFuel, which is now a market-leading testosterone booster supplement. 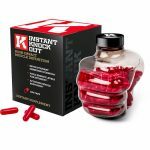 However, they also offer a fat burner used by UFC fighters. Anyway, usually, we’re concerned about the premium price of TestoFuel, but Status actually costs more than TestoFuel, so the price isn’t an issue in this battle. 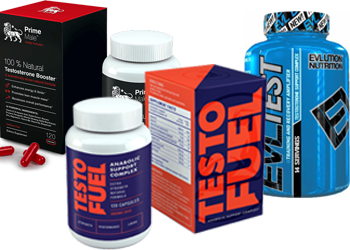 Blue Star Nutraceuticals are another premium supplements company that offer a testosterone booster, as well as a popular fat burner called Blade. Although Blade is much more popular, we’re interested to see whether they got lucky with 1 product, or can replicate their success with Status. As it’s priced slightly higher than TestoFuel, we’re expecting big things here. So let’s get comparing the 2 supplements and see which is better. One way to look at the safety and effectiveness of a product, is by looking at which ingredients are inside; this allows you to dodge the fancy advertisements and simply look at the supplement facts. First, we’ll check which nutrients are in both products, and see which contains the better dosages. After this, we’ll see which test booster contains the better ‘unique’ ingredients, which will help you decide the better product. This is the best ingredient that’s seen in both TestoFuel and Status. You might be confused, as Blue Star Nutraceuticals have tried to be fancy and listed this as ‘trigonella foenum – graecum seed’. However, we can assure you it’s simply another name for fenugreek seed extract. What does it do? Answer: fenugreek seed extract has proven to help boost your testosterone levels and libido. The best thing is that fenugreek seed extract has shown to work in dosages of 50mg, so it’s almost impossible to dose incorrectly. As a result, both products contain an effective amount of this nutrient. These are 2 essential minerals that everyone knows is important for your health. However, not everyone knows the safety limits of both of them; it’s recommended that you consume less than 40mg Zinc daily, and less than 350mg Magnesium. Now, TestoFuel have done well to dose these minerals under these limits, to keep you safe from potential side effects. However, Blue Star Nutraceuticals have made a mistake by adding a very high dosage of Zinc (30mg per serving), and an overdose of Magnesium (450mg per serving); this means that you’re at risk from side effects such as diarrhea, nausea and muscle weakness. As a result, we believe that the winner of this round is TestoFuel. We’ve covered the ingredients that both testosterone boosters have in common. So now, we’ll help you decide which product contains the better ‘unique’ nutrients. If you’re looking to raise your T levels, then vitamin d3 should be your ‘go-to’ nutrient. In fact, doctors even recommend patients to consume vitamin d3 supplements when they’re suffering from fatigue – which makes it one of the most beneficial ingredients available. So you know that vitamin d3 is proven to raise your testosterone levels and general health, while lowering fatigue. But it’s important to know the optimal dosage of vitamin d3, to ensure that it works; studies have all shown that dosages between 3,332IU-5,000IU is the msot effect amount of vitamin d3 to consume. You can see that Roar Ambition have done their research here, as they’ve added a great 5,000IU vitamin d3 in TestoFuel. This means that they’ve landed another blow on Status, and it’s hard to disagree with this. Another perfect addition to any testosterone booster. Otherwise known as DAA, this has shown to raise your T levels by up to 40% in numerous studies. In fact, many companies have released T-Boosters with only DAA inside, as it’s so effective. The downside is that it can take up alot of space in a supplement, but it’s better having less ingredients overall, if they’re more effective. 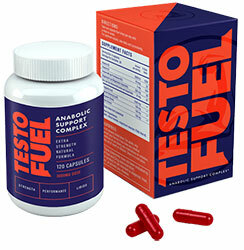 Again, TestoFuel has been formulated effectively, as there’s an optimal 2,300mg serving in this testosterone booster. Good job again by Roar Ambition. Also known as tongkat ali or longjack extract, this can be a useful addition to any testosterone booster, as its shown to enhance your libido. However, the bad news is that it hasn’t proven to raise your T levels. And ultimately, this is the main benefit you want when consuming test booster supplements. Similarly to eurycoma longifolia, this is another useful ingredient in testosterone boosters – it’s known for improving your power output. But ashwagandha hasn’t shown to successfully raise your T levels either. Roar Ambition has dosed their ingredients optimally, so you’re not likely to suffer from any side effects with TestoFuel. However, the main problem with Status is that it contains over the tolerable upper limit for magnesium, which can cause side effects like diarrhea, nausea and muscle weakness. As you can tell from this comparison, it’s fairly easy to see that TestoFuel is the winner here; it’s the product that isn’t likely to cause side effects, and contains the much better ingredients (eg. vitamin d3). We don’t understand why Blue Star Nutraceuticals have priced Status so highly, as it’s ingredient list doesn’t justify its price tag; it doesn’t even contain key nutrients such as vitamin d3. 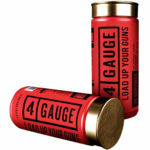 Our final verdict is that TestoFuel is provides more bang for your buck here.